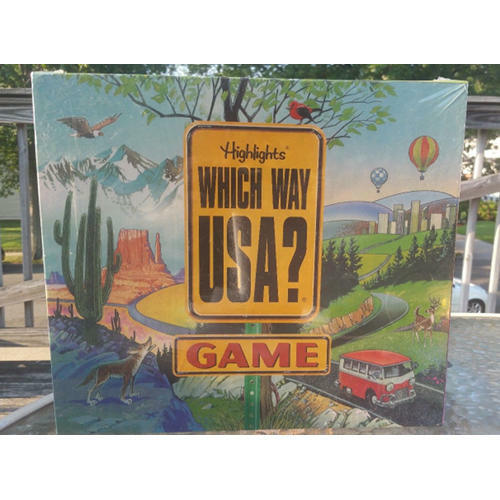 Based on the Highlights puzzle-book series, the Which Way USA? 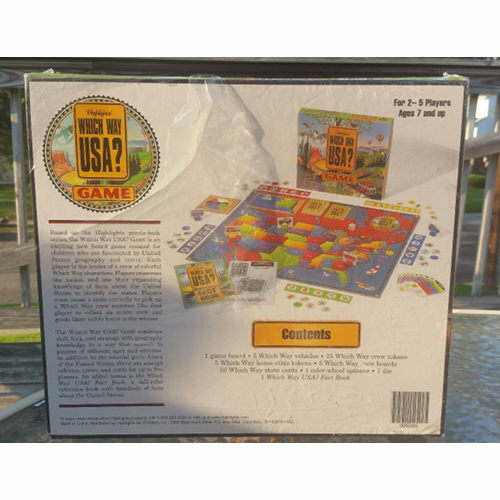 game is an exciting new board game created for children who are fascinated by United States geography and trivia. Each player is the leader of a crew of colorful Which Way characters. Players crisscross the nation and use their expanding knowledge of facts about the United States to identify the states. Players must name a state correctly to pick up a Which Way crew member. The first player to collect an entire crew and guide them safely home is the winner.